Any guesses? That’s Airbnb’s Brian Chesky after announcing their new (and first-ever) global head of transportation hire, Fred Reid. Fred happens to be a guru in the aviation industry having served as founding CEO of Virgin America and President of Delta Airlines. These and other aviation-based experiences in Fred’s past were not a coincidence in his hiring. It was only a few weeks later that Airbnb announced it’s $400mm acquisition of the HotelTonight platform. Chesky’s statement is broad, but poignant nonetheless. Not only do these recent revelations show a tech giant’s deeper understanding of the intricacies and inter-connectedness within in the travel, transport, and hospitality sectors, but it demonstrates their willingness to make huge strategic and commercial leaps forward to bolster their position as a market leader and better serve their customers; travelers and now hotel guests. Airbnb has nailed the digital explore-and-book experience. Today you can purchase accommodations and experiences in a few clicks. It makes sense that their next move is in getting people to their destination and bringing the spectrum full circle to provide end-to-end booking offerings. For a company like Airbnb to do this, and to do so in a way that supports a consistent user experience, data about how passengers move throughout airports must be collected and made accessible. That’s why at Plot we have quickly increased our footprint to become a central database of organized airport information. Plot bridges the gap between airports and the private sector. Data helps airports, airlines and companies like Airbnb continue to stay in lockstep with the digital travel experience and get the right data into the hands of customers, travelers, and guests precisely when they need it, ultimately creating seamless and stress-free travel experiences. As demonstrated through our current partners, airports need to better understand the value of their data and the importance that having a global mindset has when considering the impact private players have on enhancing the traveler experience and improving operations. As more companies like Airbnb start to make the connection between travel, transport, and hospitality to streamline customer experience, Plot is becoming an indispensable technology partner to airports. Why is this important for airlines? 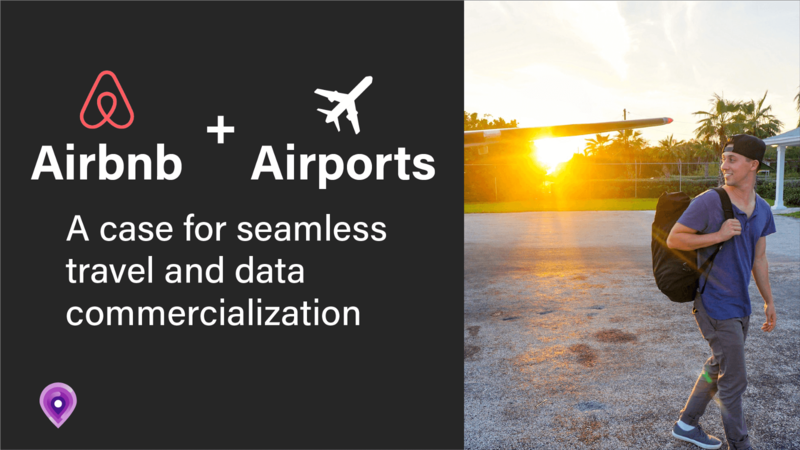 Airport data is becoming increasingly available and tech-savvy companies are consolidating their products and services across industries to better serve their customers. Airlines will soon see companies they never viewed as competitors negatively impacting their market share if they don’t aggressively create new and enriching experiences (both merchandising and customer satisfaction) that meet the passenger’s needs. The passenger’s voice has grown stronger as they can express dissatisfaction on social media, and there is increased pressure on airlines to address their grievances to avoid any potential damage to their reputation. Why this is important for travel booking sites? The more Airbnb and companies alike cast their net wider into other industries and leverage data to improve the transportation experience, the more complete and personalized services they can offer their users. Ultimately, this will put companies like Expedia, Kayak, and Priceline in a challenging position to differentiate themselves at the risk that their services become inessential.